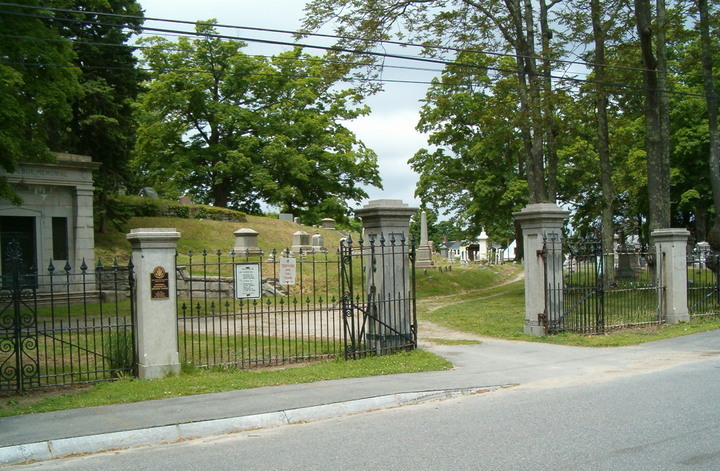 Mount Pleasant Cemetery is a historic cemetery at Crocker, Cohannet, and Barnum Streets in Taunton, Massachusetts. The earliest part of the cemetery was founded in 1710. The cemetery was added to the National Register of Historic Places in 2002. The Mount Pleasant Cemetery in Taunton opened officially on July 4, 1836 as the third 'Garden style' cemetery in the country. The Mount Auburn Cemetery in Boston was the first. The Mount Pleasant Cemetery was designed by Joseph Wilbar of Taunton. There was a small family cemetery belonging to the King Family on the property prior to the establishment of the Mount Pleasant Cemetery. There are soldiers buried in this cemetery from the King William's War, Queen Anne's War, American Revolution, War of 1812, Mexican War, U.S. Civil War, Spanish-American War, World War One,World War Two and the Korean War. The highest ranking army officer in this cemetery is Civil War General Darius Nash Couch and the highest ranking Naval officer is Rear Admiral Albert Loring Swasey. There are Congressmen, a Governor, state legislators, mayors as well as national pioneers in the fields of industry, business, the arts and transportation.